Record chip sales overshadowed by smartphone slump. Despite record high chip earnings, weak smartphone sales have caused Samsung's earnings to grow at the slowest pace in more than a year during the second quarter. The South Korean tech giant warned investors back in April that tougher competition would likely lead to an earnings slowdown. 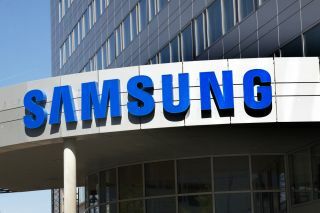 Samsung revealed that its operating profit would grow by 5.2 per cent to 14.8 trillion won which was just short of analysts' estimate of 14.9 trillion won. The company's chip business is poised to post its seventh consecutive record quarterly profit while slower smartphone sales have led some to believe that its Galaxy line is becoming stale and its shares are down by 12 per cent this year as a result. Apple's iPhone 8 has even managed to overtake the Galaxy S9 Plus as the world's top-selling smartphone due to weak sales in Europe. Samsung is also facing increased competition from cheaper Chinese brands such as Xiamoi and Huawei which have caused it to lose market share in both China and India. Though its smartphone business may be struggling, Samsung's profits are being fuelled by sales of its DRAM and NAND chips. The Korean firm is currently the world's biggest supplier of memory chips which account for nearly a third of its revenue. If the rumours are true regarding the upcoming foldable Galaxy X, Samsung may just be able to reverse its declining smartphone sales and convince critics that it can still innovate.